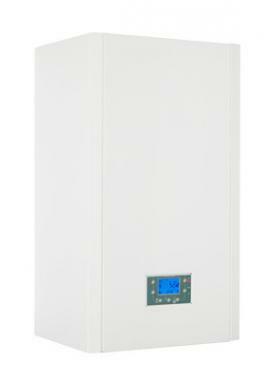 The HE98 is a Combi gas boiler which has been made and manufactured by Ravenheat. It is a wall mounted, condensing unit which delivers both reliability and a high level of energy efficiency at 90.3%. This makes it an A rated boiler which should reduce the amount you need to spend on your heating bills. This boiler has an output rating of 30kW. Key features of this boiler include the ErP compliant controls and pumps, a direct Wi-fi connection kit included, integrated openTherm technology, lowest NOx class of 5 and high density insulation. It can operate at a minimum low power of 3.6kW further helping to reduce energy costs. The backlit LCD screen with user friendly touch controls makes the boiler easy to use. It operates very quietly and is compact in size at 700x 400x300mm deep making it an easy boiler to install and able to be placed just about anywhere. This unit comes with the option of weather compensation which means you can be sure your boiler will be protected all year round! In addition to the 5 year warranty this should give you added security that you have bought a reliable boiler.